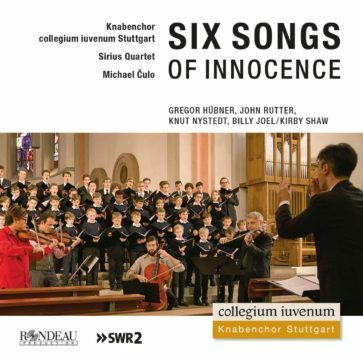 The music on this release was custom-made to celebrate the 25th anniversary of the collegium iuvenum Boys Choir Stuttgart. The Sirius Quartet New York joins the choir, providing breathtaking instrumental improvisations. The title track, Six Songs of Innocence, was commissioned for the choir and composed by composer Gregor Hubner.